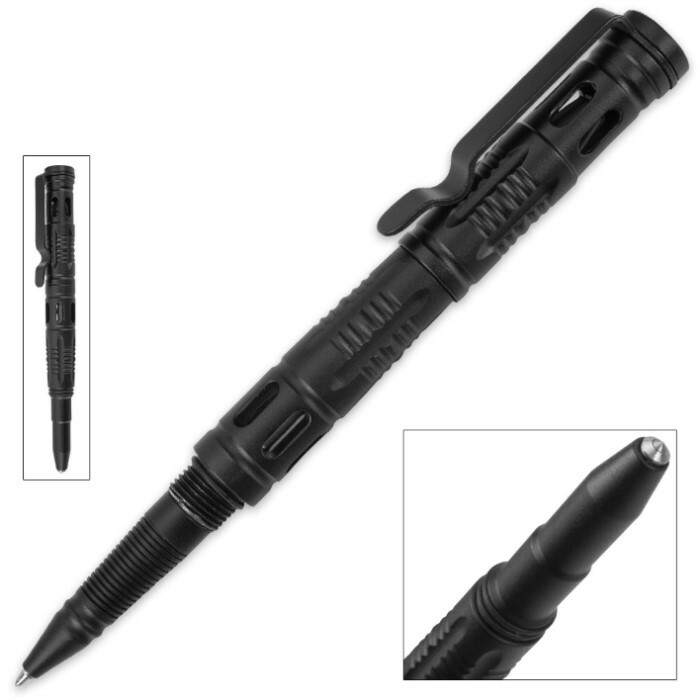 Black Tactical Pen With Glass Breaker | BUDK.com - Knives & Swords At The Lowest Prices! Having a glass breaker on hand in case of an emergency is an important way to make sure that you’re prepared for the worst! 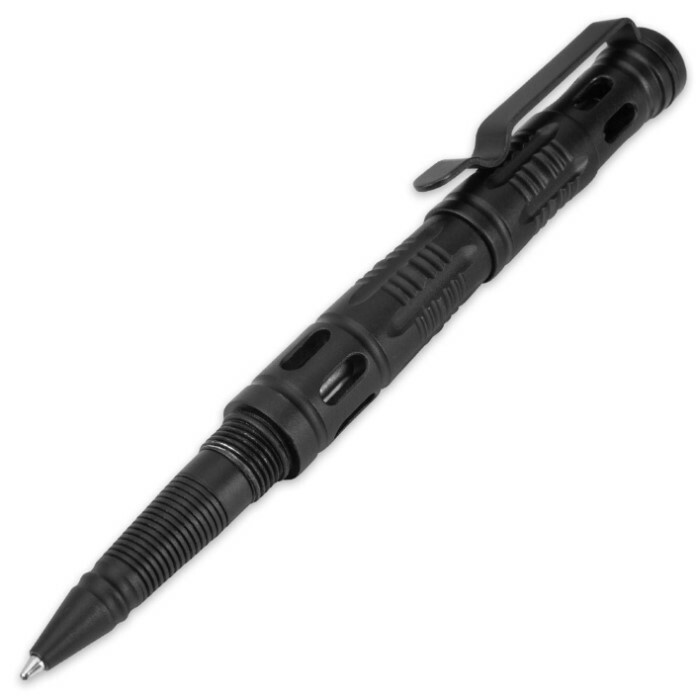 Our Black Tactical Pen With Glass Breaker is a space-age designed, refillable ink pen made of ultra-heavy-duty aluminum. It has a metallic pocket clip for ease of carry and a ridged slip-free grip. 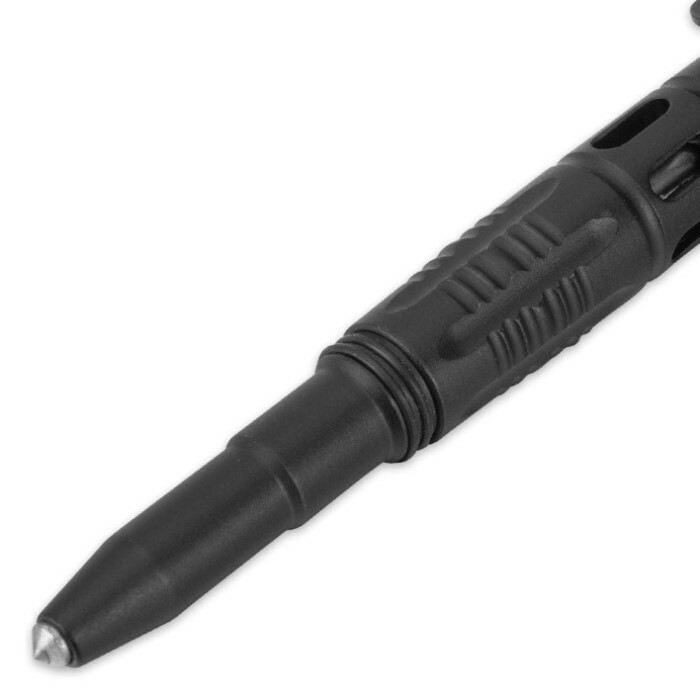 The pen features a glass breaker built right into the end of it and has a flat topped, twist off cap. Great pen! Uses Parker Quink Flow refills available at office supply stores!